In October 2018, Lion Air Flight JT610 crashed into the Java Sea, 12 minutes after take-off, tragically killing all 189 people onboard. Five months later, Ethiopian Airlines Flight 302 slammed into a field south of the capital Addis Ababa, six minutes after take-off. All 157 passengers and crew were killed. Both accidents involved brand new Boeing 737 Max 8 aircrafts. It’s not yet known what caused the accidents, but they’ve raised serious questions over the safety of Boeing aircrafts, and its reputation as a trusted aircraft manufacturer. 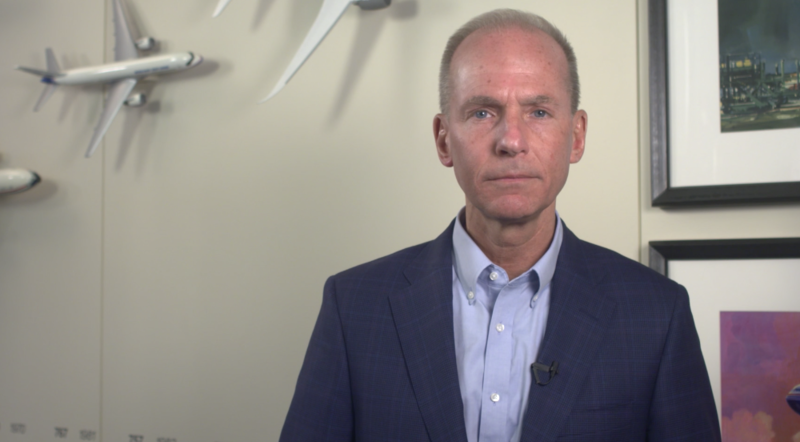 The way Boeing responds will play a critical role in how this plays out. But it didn’t get off to a good start. The public and the aviation industry were outraged by Boeing’s refusal to ground its 737 Max 8 aircraft in the USA, despite more than 40 other countries grounding theirs within 24 hours of the accident. Boeing kept insisting its 737s were safe to fly and that it had ‘no basis to order grounding the aircraft’. The 737s were eventually grounded three days after the crash, by order of President Trump. But by the time the FAA implemented the order, airlines and aviation authorities in dozens of other countries had already done so. The damage was done. Safety is one of Boeing’s core values. But how can a company that values ‘human life and wellbeing above all else’ have such staunch confidence in a plane with that statistical record? And before a basic investigation was even conducted? The fact Boeing was so determined to keep the Max 8s in the air reflected badly on the brand. They undermined their own values and gave the impression that profits matter more to them than people’s lives. If Boeing had voluntarily grounded its planes, it would have reassured the flying public they were serious about dealing with the problem. And it would have also been a poignant mark of respect to the victims of the crash. Instead, Boeing was lambasted in the media and criticised by the public for putting more lives at risk. In complex, rapidly evolving, and emotionally charged crisis like Boeing’s, it’s easy to lose sight of the human toll. This is one thing Boeing got right, to start with at least. Within hours of the crash, they tweeted, ‘Boeing is deeply saddened to learn of the passengers and crew of Ethiopian Airlines Flight 302, a 737 Max 8 airplane. We extend our sympathies to the families and loved ones of the passengers and crew on board’. However, as the crisis grew, Boeing’s communication seemed more panicked. They moved away from the tragic loss of life, focusing instead on the technicalities surrounding the crash. This got people’s backs up, as the human angle should always be front and centre of any crisis communications. Don’t underestimate the power of social media for adding fuel to a crisis. Once a story goes viral, there’s nothing you can do about it. One tweet could shred your carefully crafted reputation in seconds. If you’re facing a crisis, it’s imperative you’re pro-active with your social media. Find out where your customers are online and post regular updates, so they know you’re dealing with the situation. Use social media monitors to track what people are saying about you, so you can plan your response accordingly. The Ethiopian Airlines crash occurred five months after the Lion Air crash. Even though Lion Air hadn’t had another incident, it was back in the news because both crashes involved 737 Max 8 aircraft. The negative press was dragged back up, and Lion Air was under scrutiny once again. In any crisis, there may be collateral damage. Any negative press or bad news your brand received in the past may well reappear. You need to be prepared to respond to this too. It remains to be seen how much damage this crisis will do to Boeing’s reputation. But one thing’s for sure: they can’t afford to make any more PR mis-steps. They ignored one of the golden rules of crisis comms: ‘act fast but think carefully’. In a crisis, you need to move quickly to get your side of the story out before any unnecessary PR damage is done by delaying. You also want to be seen as responsive, efficient and aware of the urgency of the situation. If you want to avoid a PR crisis of your own, be prepared. I can help. Get in touch. Should Your Brand Follow LUSH and Quit Social Media?